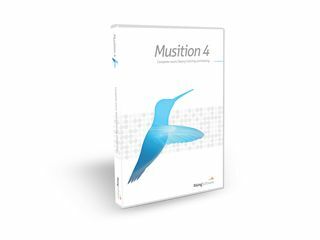 Musition is the complete software for learning and testing music theory. Designed for students of all ages and abilities, Musition is easy to use and creates a stimulating learning environment, so students progress quickly and achieve their maximum potential. What's more, Musition automatically marks all the tests for you, so students can use it unaided. Musition's interactive tests cover all levels from beginner to advanced, and are grouped into 34 topics. Some tests in Musition have multiple-choice questions; others let you answer by clicking an on-screen piano keyboard, playing on a MIDI keyboard. Musition is suitable for classical, jazz and rock/pop students, with special exercises on jazz scales, chord symbols, guitar chord diagrams and drum styles.